To succeed in capitalism, you need capital. Unfortunately, women and people of color historically don’t have equal access to large sums of money. Investment capital isn’t spread equally. That’s where Treehouse Global finds its financial advantage. That makes it difficult to build and scale up a business. This is especially true in the cannabis industry, where most banks and traditional lenders still refuse to work with companies that remain technically in violation of federal law. The existence of this pronounced funding gap has also inspired a team of experienced investors to create Treehouse Global Ventures. Treehouse is a women-led private equity firm focused on investing in cannabis companies founded by women and minorities. For the firm’s founders, it’s a way to give these traditionally disadvantaged groups a fair shot at success in a still emerging industry—and a way to find smart investments. Among their early investments are LucidMood, the women-and-wellness focused cannabis products company; Kind seed-to-sale software; and Stem Holdings, a cannabis-focused retail property company. Treehouse has been active for about six months, quietly seeding companies in the cannabis space. But recently the firm made its first big public splash, adding the noted publisher and organic culture icon Maria Rodale to their advisory board. Rodale, the former chairman and CEO of Rodale Inc., the global health and wellness media company, joins Poseidon Asset Management co-founder Emily Paxhia and MTech Acquisition CFO Tahira Rehmatullah to form Treehouse’s powerhouse trio of senior advisors. By creating a female-focused powerhouse of experts on cannabis and finance as well as consumer-based wellness and lifestyle trends, Treehouse hopes to change the political culture of venture capital. “There is a shift that needs to happen in political will and the male-dominated distribution of wealth,” Treehouse’s Gaynell Rogers told Leafly recently. She and her co-founders are working to make that change happen. The seeds for Treehouse were planted when Lindy Snider, Gaynell Rogers, and Lori Ferrara met while attending cannabis conferences in the early 2010s. Each woman had a proven track record of business success. Snider held senior-level roles in elite sports and entertainment organizations, including the Philadelphia Flyers. Ferrara, based in Chicago, managed syndicated television operations for shows including Jeopardy, Inside Edition, and The Oprah Winfrey Show. Rogers, working in Northern California, enjoying a wide-ranging career in publicity and media relations, with clients including cannabis pioneers Harborside Health and The Arcview Group. So the three officially formed Treehouse late last year. The three entrepreneurs and financiers have been around long enough to see cycles of change in the cannabis industry. In 2010, along with Steve DeAngelo and Troy Dayton, Rogers helped found The Arcview Group, the cannabis investment and research company. As more mainstream investment entered cannabis, female leadership actually fell by nine percent. That’s no coincidence. That growth has been mostly positive, though it brings its own kind of change. In the early years, Arcview investors were noted risk-takers. Many of them came from the cannabis industry themselves and used the network as a way to re-invest their profits to grow their own industry. Newer investors today tend to come from more traditional sectors. In fact, a survey done by Marijuana Business Daily found that the number of women in leadership positions in the cannabis industry actually fell by 9 percent from 2015 to 2017. According to an article in Green Entrepreneur, the legalization of recreational, adult-use cannabis played a role in this shift by prompting an influx of investment dollars from capital markets dominated by men. The founders of Treehouse see this failure to fund women-led companies as an opportunity for them to discover and support undervalued talent. The addition of Maria Rodale to the Treehouse advisory board brings the hint of expanding the firm’s investments in the cannabis wellness space. 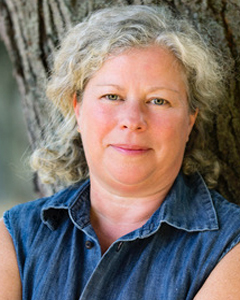 Primarily focused on her mission of promoting the health and societal benefits of small organic farms, Rodale is the author of many books, including the Organic Manifesto, How Organic Farming Can Feed Our World, Heal Our Planet and Keep Us Safe, and Scratch, Home Cooking for Everyone Made Simple. She’s also heir to an important legacy. Rodale’s visionary grandfather kickstarted the organic foods and farming movement in the 1940s by creating the Rodale Institute and writing Pay Dirt, a book linking chemical agriculture to human health issues. Her father built on this legacy of activism by pushing the government towards organic certification of foods in the 1990s. She and her family expanded Rodale into a book and magazine publishing powerhouse, then exited with the sale of the company to the Hearst Corporation in 2017. The rapidly evolving cannabis marketplace lends itself to comparisons with the organic food market, which gained traction in the 1970s as a niche political movement driven by eco-conscious hippies and has since grown into a $50 billion dollar industry. According to Green Entrepreneur, “women make 90% of household healthcare decisions in the $4.2 trillion dollar wellness market” as consumers, so having female leadership designing products and services is essential to driving sales and further normalizing cannabis as a tool for wellness. Meanwhile, working with Treehouse dovetails nicely with Rodale’s past experience advocating for small farmers, environmental sustainability, and consumer’s rights to access safe, healthy food. She says she’s most excited about the potential of CBD and hemp. Research conducted by the Rodale Institute has shown that organically grown hemp could offer a viable alternative to small farmers currently getting squeezed out of more traditional markets. Interested minority and female founders can contact Treehouse through their online portal. If the initial application seems promising, next steps include signing a mutual non-disclosure agreement, then proceeding to a review of a financial pitch deck. If the Treehouse partners decide to invest, they will write up a term sheet and start due diligence, which can take from six weeks up to several months. Qualified applicants need a forward-thinking marketing and branding plan that looks two to four years into the future of the industry. That’s by far the most common—and the most important—question asked by cannabis consumers. To help answer these questions, and boost sales, more and more brands are labeling their offerings as “Chill,” or “Creative,” or “Relax,” or “Inspire.” They claim their gummies and vape pens can not only get you high, but reliably change your mood from active and energetic to calm and relaxed. Every drug—botanical or not—can affect different people in different ways, and there’s much more science to be done. But early data has led to these cutting-edge, effect-specific products from top California brands. Get ready to feel different. The result of a rigorous two-year period of research and development, OLO comes from a team of biochemists, neuroscientists, psychologists, and cannabis experts determined to go “beyond strains.” They honed in on how blends of marijuana’s main active ingredients —cannabinoids and terpenes—alter nervous system functioning. This is not an entirely new concept. Traditional connoisseurs long-held that certain cannabis types sedated people, while other physically different types uplift and stimulate. Recent research challenges that simplification and points to cannabis’ aroma—its terpenes— as mood modulators. Companies dial in effects a few different ways. Some blend cannabis with other herbs, like lavender for sleep or ginseng for energy. Brands like OLO isolate the dozen-plus main active ingredients in cannabis, called cannabinoids, and re-blend them in precise ratios. As little as 2 milligrams of pot’s two main molecules—THC and CBD—can cause mild, manageable feelings of well-being, dubbed “euphoria”. Add in some terpenes, and you can enhance that high, or calm it further. OLO has four formulas with reliable, specific effects, based on consumer tests. OLOs come in the form of mouth strips that goes under the tongue. Each contains 5 milligrams or 10 milligrams of THC. OLO dissolves quickly, with effects manifesting within 15 to 20 minutes. Ready for a futuristic, reliable way to dial in a mood? Level brand products contain exotic cannabis molecules that dissolve under your tongue, providing discreet relief. This is cool, because nowadays you can choose how you want to ingest cannabis. Smoking or vaping rapidly transfers THC to the brain, via the blood and lungs, bringing on effects within minutes. It’s easy to adjust your dose—stop toking—when you start to feel high. By contrast, edibles must first traverse the stomach and liver, which alters cannabis’ effects—potentially making them longer and stronger. It can take up to two hours for edibles to kick in, and you can’t stop digestion once effects get strong. The high can last hours. Lastly, “sublinguals” (under the tongue) take effect much faster than edibles. Taking a tincture, mouth strip, or tablet under the tongue delivers a substance directly to the bloodstream, and thus the brain in about 15 minutes. Level’s Elevate tab bills itself as a “classic high,” delivering 3 milligrams of THC per tablet, but the rest of the offerings are more interesting. Soothe uses a slightly different, more rare version of THC called “Delta-8.” It should be less stoney and spacey. Calm Tablinguals each contain 3 milligrams of cannabigerol—CBG. This weed molecule won’t make you giggly, so it’s gaining more attention for its possible medical applications. 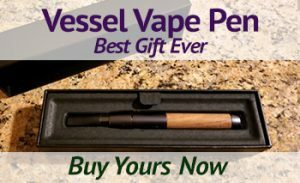 Level also offers vape carts and Pax Era pods, and their website has a search function designed to help people find products with specific effects. Only one flavor, Sparkling Pear, uses CBD to reduce anxiety for a Social formula, with 2 milligrams of THC and 6 milligrams of CBD per piece. Again, effects can vary. Solid peer-reviewed science is scant. Edibles made from an indica strain could affect you differently than an edible made from a sativa strain, but it’s unclear how eating cannabis-derived terpenes affects mood. Terpenes are found in the vast majority of fruits, vegetables, herbs and spices that we eat. Brilliantly blending complementary herbs with varying ratios of THC to CBD, these teas offer four distinct moods. Sensuali-Tea, aimed at increasing sexual arousal, uses 7 milligrams of THC per serving along with hibiscus, rose, and cardamom. Tranquili-Tea combines 2 milligrams of THC with 5 milligrams of CBN — a sleepy drug— plus chamomile and lemon myrtle. Intended to combat pain and anxiety, Sympa-Tea contains a 20 milligrams of CBD and three milligrams of THC along with turmeric and ginger. 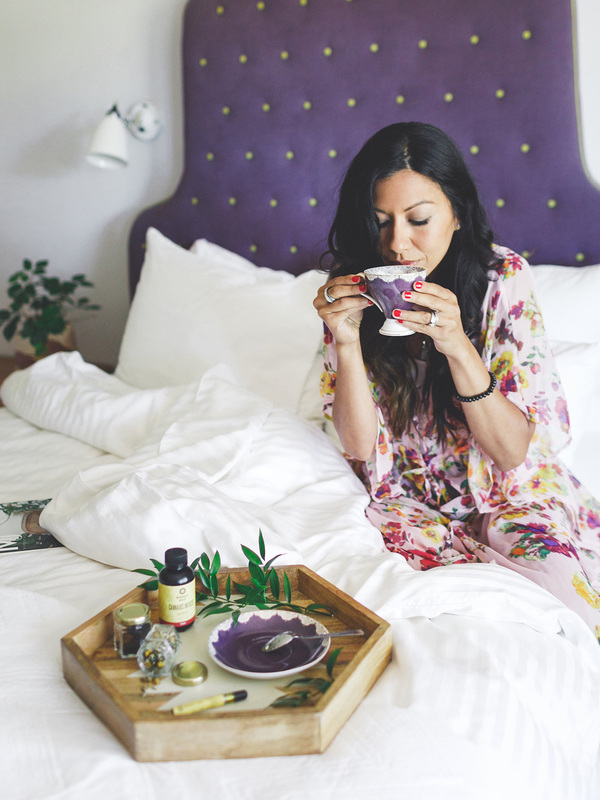 Only one tea contains caffeine—Positivi-Tea—a blend of mint, green tea, 10 milligrams of THC and 5 milligrams of CBD, intended to bring on feelings of joy. You can also boost the power of your tea by adding a new Kikoko Honey Shot, with Calm CBD and Buzz THC options for further mood enhancement. The first brand to abandon traditional strain names, Canndescent simplifies shopping for weed. They grow traditional strains extra-consistently, and give them alliterative new names based on intended effect. Canndescent’s joints (dubbed prerolls), and buds come in sleek packaging, and Charge promises to energize your body and mind while Calm relaxes it. The effects of Cruise, Connect, and Create fall somewhere in-between. Canndescent offers a classy, tame way to introduce new users to the effects of cannabis flowers, so look for their flights of five different prerolls to sample all of the different experiences. Aces Uplift offers citrusy Super Lemon Haze oil. The Unwind balances THC extracted from an indica varietal with equal amounts of CBD to facilitate relaxing. Flu season is peaking. When you’re home sick, feeling miserable and confined to the couch, it’s helpful to have cannabis on hand. Beyond improving your mood and helping you sleep, medicinal cannabis products can also relieve inflammation and pain while balancing immunity. Thanks to legalization Proposition 64, any adult 21 or older with ID in California can probably get cannabis delivered to them from more than 600 licensed stores and over 100 delivery services. They all stock lab-tested, dosed, non-smoked products like mouth drops, that won’t irritate your throat or increase coughing and congestion. You can now choose from edibles, drinks, and tinctures that fit into your self-care regimen. If you’re feeling under the weather, hit the bed, get rest, and drink plenty of fluids. That said, it often seems to help to add some cannabis-infused honey to your tea. At the least, maintaining a low-level buzz while you’re otherwise incapacitated will make that Netflix binge more interesting, that’s for sure. Simply add this rosin-infused herbal drink mix to a cup with hot water for a calming buzz. It’s a mellow mix of cannabis main active ingredients, combining 10 mg of anti-inflammatory CBD and 5 mg of pain-decreasing THC, plus with other healing plants. 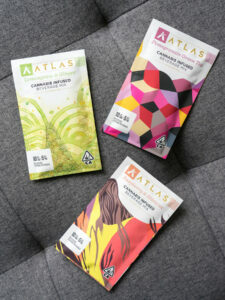 Atlas created three flavorful drink mixes: Pomegranate Green Tea, Raspberry & Hibiscus, and Lemongrass & Ginger. When you’re not feeling well, add these to your daily rotation of teas. Hibiscus is packed with vitamin C, lemongrass helps relieve fever and colds, and ginger even kills rhinoviruses, soothes sore throats and acts as an antihistamine. Many cannabinoids and terpenes have antibiotic effects. As for viruses, cannabinoids and terpenes alter immune response to viruses, either increasing or decreasing viral replication, depending on the study and virus. Lots of people love cannabis’ relief but hate what they feel is the side effects of being “high”. With a wide variety of no-high formulas, Jade Nectar has created cannabis tinctures that harness the power of raw “acid” form cannabis’ active ingredients. Instead of THC, it’s THCA. Instead of CBD, it’s CBDA. Try these if you’re looking for relief from pain, nausea, insomnia or lack of appetite without any accompanying euphoria. 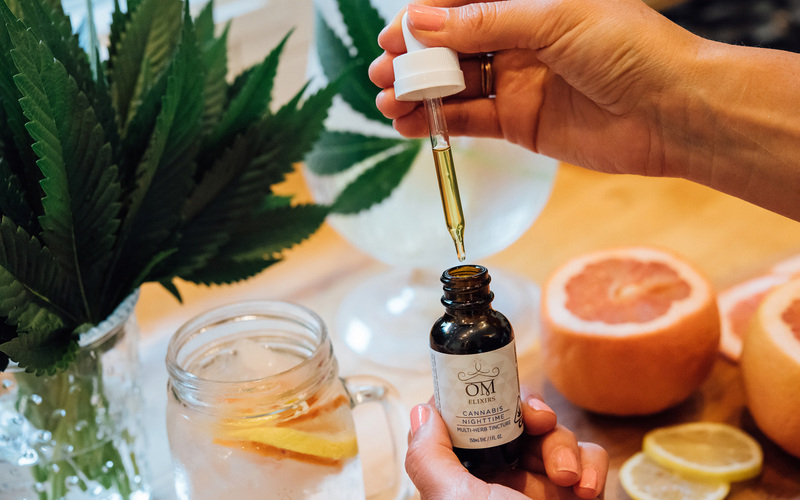 Look for raw CBDA and THCA tinctures blended in specific ratios, and drizzle these olive oil-based tinctures over a bowl of soup, or just drop under your tongue for relief from aches and pains. This multi-herb tincture is blended with ginger and echinacea, making for a potent elixir that’s great for preventing colds as well as lessening their severity. Echinacea boosts your immune system, so it’s an excellent compliment to ginger’s virus-fighting capabilities. With 150 mg of THC per bottle, this will make you feel euphoric depending on how much you consume. Made with MCT coconut oil, this can be consumed under your tongue or added to tea. When you’re not feeling well, nursing a cup of hot tea with lemon juice and honey is the most basic method to get yourself back on the road to wellness. Using cannabis-infused honey is a welcome way to chase the blues away, allowing you to relax on the couch and get much-needed rest. Measure out 2.5 teaspoons of cannabis-infused HoneyPot to add 10 milligrams of THC to your tea, making sure to stir until completely dissolved. With an equally balanced ratio of CBD to THC, this sprayable cannabis tincture contains cinnamon, also known for its antioxidant, immunomodulatory, anti-inflammatory, and anti-nausea properties. Spray this tincture under your tongue, or mix it with honey and add to tea. Add 1/4 teaspoon of ground cinnamon for added benefits! Original Post: Leafly: Now You Can Fight the Flu — With Cannabis!